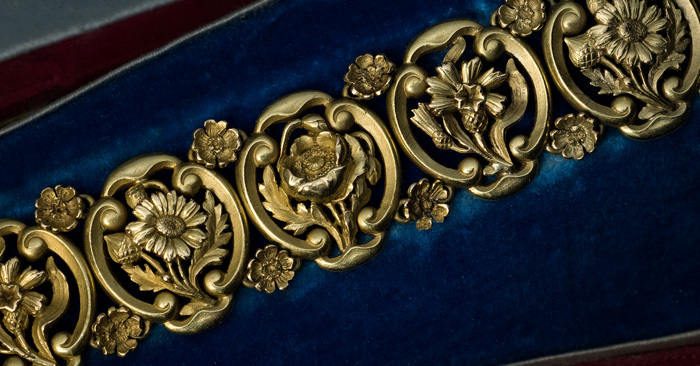 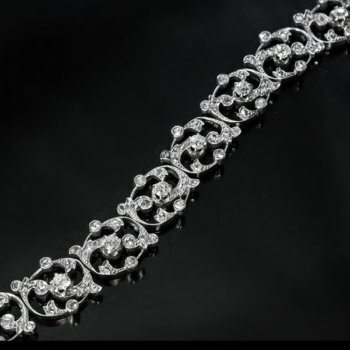 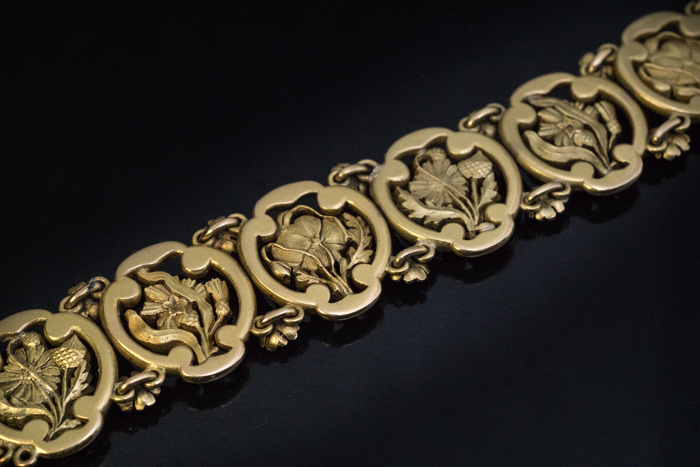 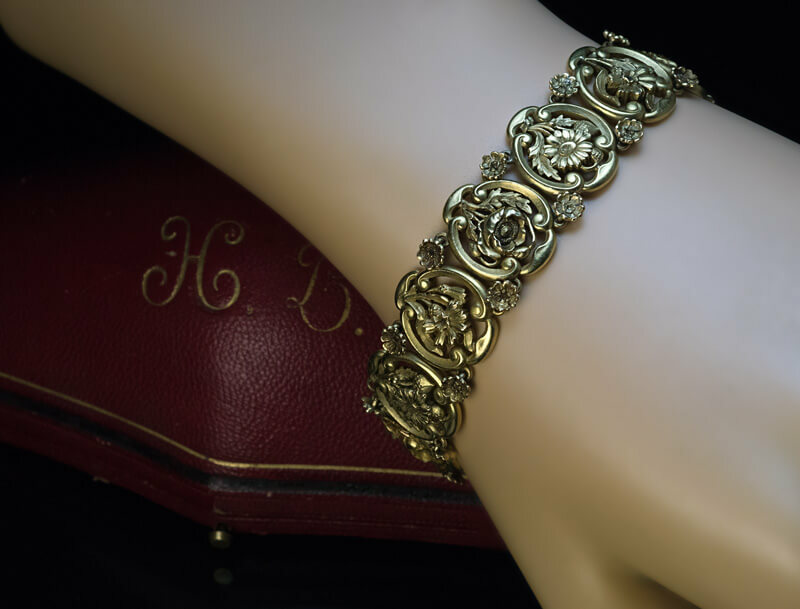 A very fine Art Nouveau 18K gold bracelet consists of twelve openwork links chased in high relief with floral designs on both sides – front and back. 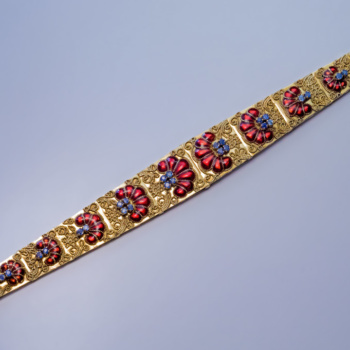 The links are joined together with pairs of small flowerheads. 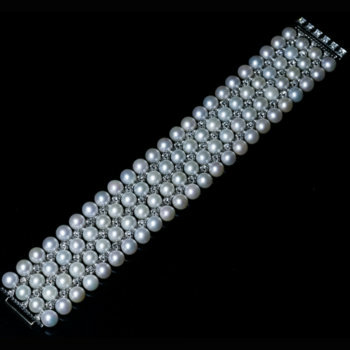 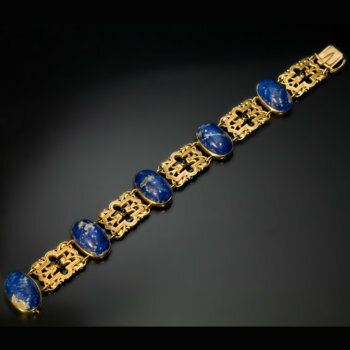 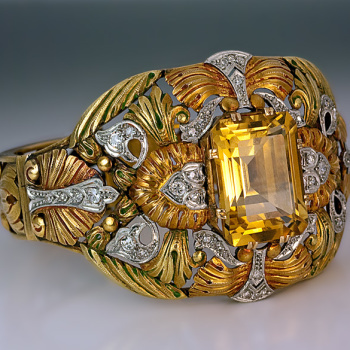 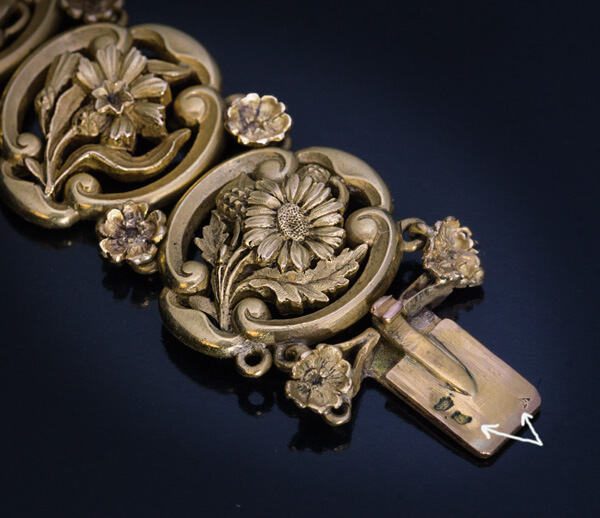 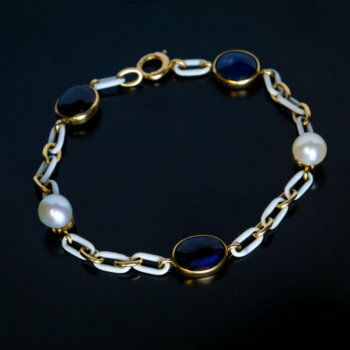 The bracelet is marked on clasp with eagle head and rhinoceros head French assay marks and maker’s mark. 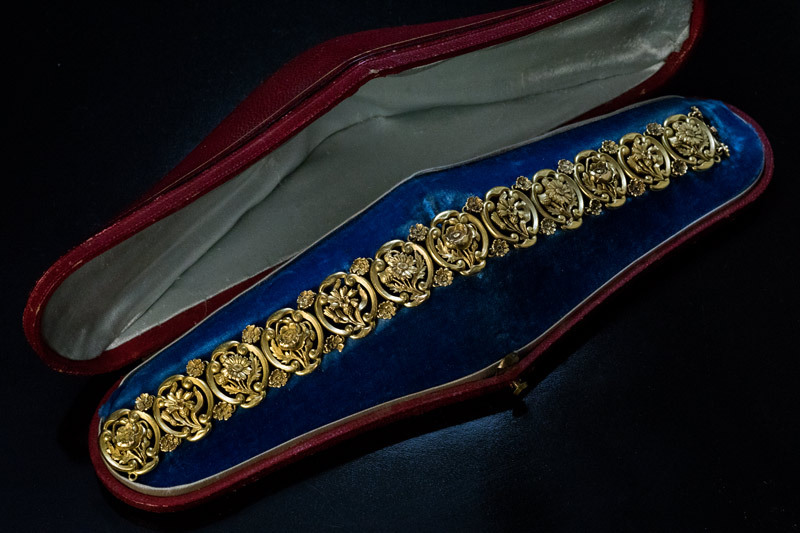 The bracelet comes in a red leather fitted case of the period with owner’s initials ‘H B’ embossed in gold on the cover.